BioWare is celebrating the reveal of Anthem through a partnership with the Edmonton Corn Maze. The design celebrates our highly-anticipated action-RPG, which features dangerous and lush wilds*. The 17-acre field, which in no way represents Anthem’s gameplay, is open to all ages from July 24-October 24, 2017. 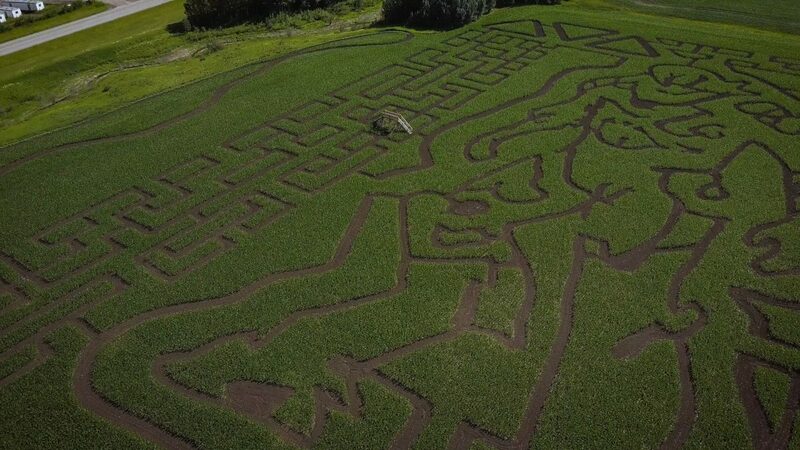 This is the Edmonton Corn Maze’s 17th year of operation, and BioWare’s 22nd year, which is important background information that doesn’t lend itself to a joke. “This has been an a-MAZE-ing opportunity for us” said Warner, who paused and waited for his pun to be acknowledged. The Edmonton Corn Maze is open for visitors Tuesday to Friday from 10 a.m.-8 p.m., and from 1 p.m.-5 p.m. on Sundays. *We cannot confirm nor deny whether Anthem will feature corn in any shape or form.